Oil giant Exxon Mobil will not be allowed to resume drilling in Russia after US President Donald Trump vowed to uphold sanctions. The US Treasury Department said that, after talks with Mr Trump, it would not waive trade sanctions on Russia for US firms seeking to restart work. It had been reported that Exxon, the world's largest publicly traded oil company, had sought a dispensation. The US and European Union imposed economic sanctions on Russia in 2014. It followed Russia's annexation of the Crimea region in 2014 and role in the conflict in eastern Ukraine. Treasury Secretary Steven Mnuchin said in a statement on Friday: "In consultation with President Donald J Trump, the Treasury Department will not be issuing waivers to US companies, including Exxon, authorising drilling prohibited by current Russian sanctions." Exxon has a joint venture with Russia's Rosneft in the Black Sea, Arctic Kara Sea and Siberia, projects that were to form a big part of the US company's future growth. 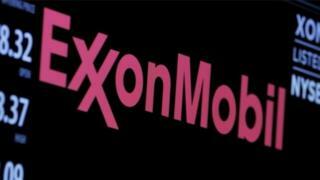 But Texas-based Exxon was forced to wind down drilling after sanctions were imposed. The company's former chief, Rex Tillerson, has been appointed Mr Trump's Secretary of State. One of the controversies around this appointment was Mr Tillerson's apparent closeness to senior figures in the Moscow government, including Vladimir Putin. The Wall Street Journal, which first reported that Exxon was seeking a waiver, said the company was concerned that its international oil rivals were gaining an advantage in Russia.